Thank you for your interest in volunteering! 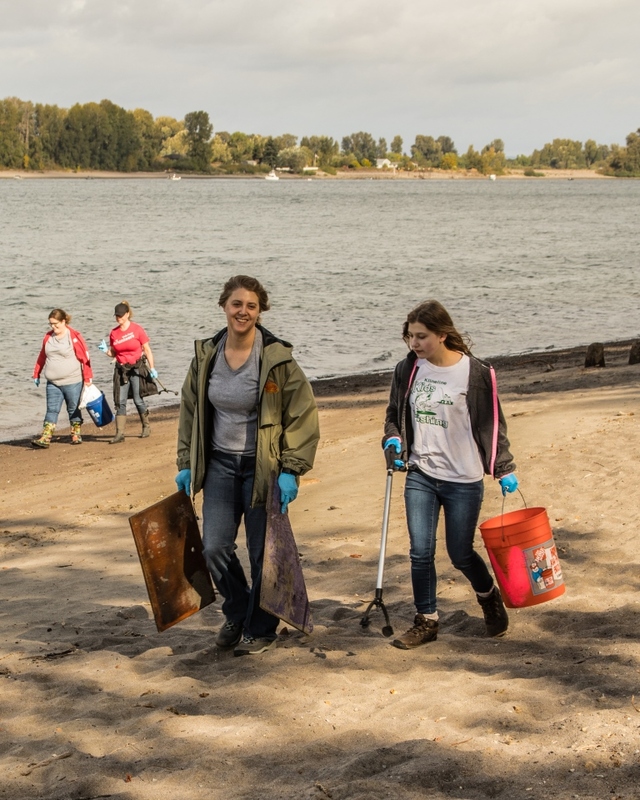 This summer Clark County Parks, in partnership with SOLVE, will host a litter cleanup series at Frenchman's Bar park. The goal of this series is to keep litter from making it's way into local waterways. You do not need experience and groups, families and individuals of all ages are welcome. A cleanup will be held every 4th Saturday in May, June, July, August, and September. Gloves, tools, water and snacks will be provided. Please bring a reusable water bottle if you have one. Parking fees are charged at this park, but volunteers can pick up a free volunteer activity pass at the fee collector booth or with your volunteer leader on the morning of the event. Volunteers will be emailed information prior to each event indicating meeting location and additional details. Volunteers should wear long pants, closed toe shoes and dress for the weather. These events are open to all ages and are a great way to help keep litter out of our waterways. If you have any questions please contact the Volunteer Program Assistant, Dora Hernandez, at 360.397.6118 ext. 1679 or via e-mail at Dora.Hernandez@clark.wa.gov.